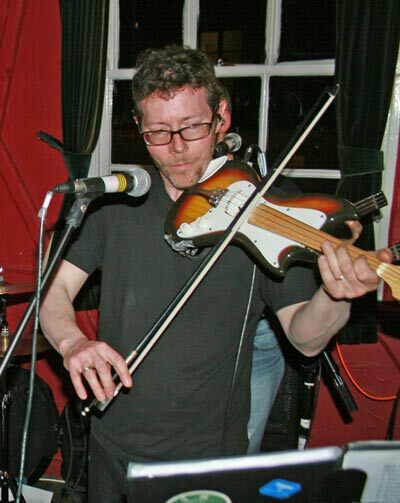 Phil Martin is a well respected violin, electric violin, viola, acoustic and electric guitar player with a great voice too! He lives for his music and has played (and currently plays) in several other bands - some who've been in the charts! Phil is a melodic and sensitive improviser. His fun loving, team spirited nature is perfect for Kindred Spirit. He also has a great sense of humour, which you can see from what he says about himself below. 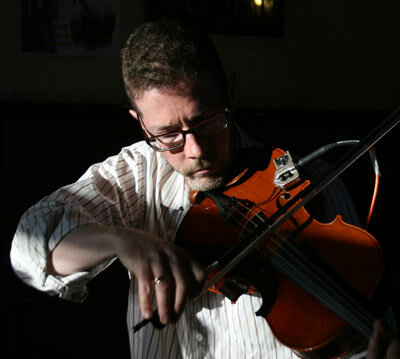 "I was taught the violin by Mr and Mrs Bellinger from the age of 8 and played in their children’s orchestra until I left school. At Uni I fell amongst Morris dancers, some of the most Rock & Roll people I’ve ever met. Rock bands inevitably followed. My mum gave me my first guitar lesson at 13; before then I had mimed with a cardboard replica in a rudimentary Gary Glitter tribute band. Ten years later I finally played a proper electric guitar in public. I was allowed to do backing vocals in bands because I used to be able to sing like a lady, a skill I learnt in church choirs. as the Languid Balladeer ‘butchering’ well-loved songs in the words of a butcher… so it may be a compliment. Appeared with Swill and the Swaggerband and The Men they Couldn’t Hang. 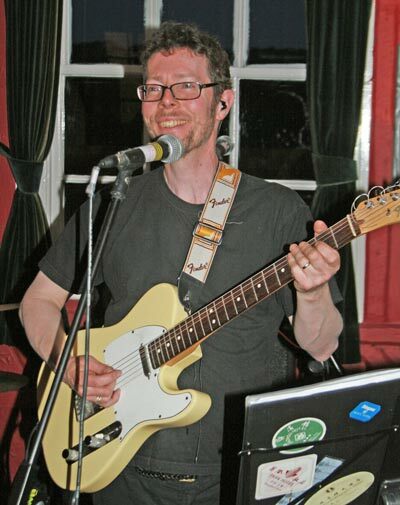 Phil also plays guitar with Retro Knights (an eclectic covers band). - Original material for the Languid Balladeer performances.